Are you organized and like planning? 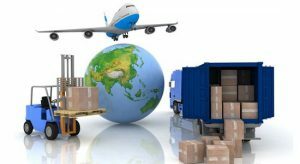 The Logistics, Materials and Supply Chain Management program teaches students to manage and coordinate the responsibilities associated with receiving, storing, shipping, controlling and distributing products and materials. Students will be instructed in the use of storage space, inventory control and shipping and receiving practices. Business skills are an important part of this program, and students will learn how to manage documents used in logistics such as purchase orders, invoices, bills of lading, requisitions, quotations, etc. Students will also be instructed in the areas of transportation and traffic which will cover freight rates and tariffs, freight classification rules and freight rate analysis. Students in this program can obtain Forklift Operation and OSHA 10 General Industry certifications.